Many local journalists covering issues like corruption and organised crime can be considered human rights defenders (HRDs) exposed to high levels of violence and impunity. 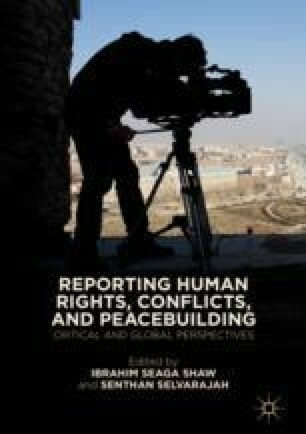 In this chapter, Mitchell examines what protection is available for such journalists via the dedicated international normative framework. She then explores the overlap between such journalists and the HRD concept, before outlining the international protection regime for HRDs and how it compares to the equivalent journalists’ system. Given the similarities between the security situations of such journalists and HRDs and the challenges faced by the regimes, she suggests there are ways international actors can better collaborate that could potentially lead to improved protection for both groups—albeit on a small scale in the absence of increased resources and political will. RSF. (2016). International Coalition Urges UN to Appoint “Journalists’ Protector” [Online]. Reporters Sans Frontières. Retrieved March 29, 2018, from https://rsf.org/en/news/international-coalition-urges-un-appoint-journalists-protector.